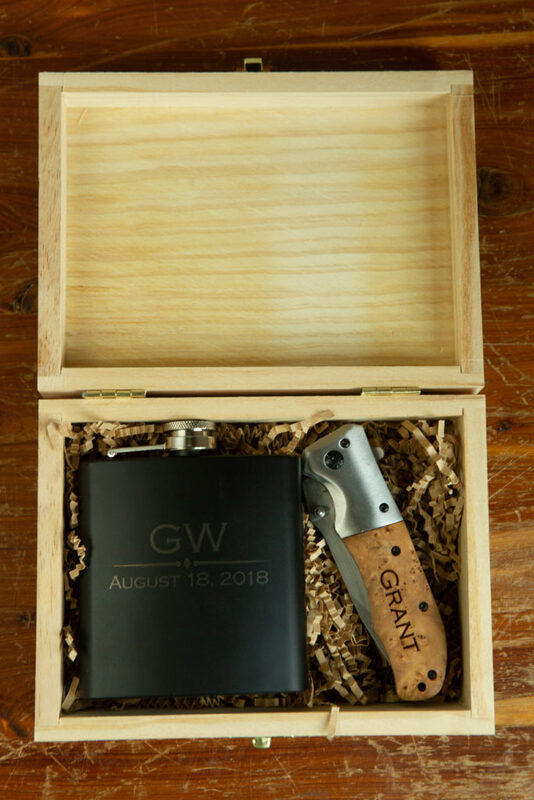 Groovy Guy Gifts recently reached out to me to review one of their personalized products and I chose “A Box of Trust” which included a gift box, knife, and flask with personalized elements to them. The three-piece combo retails at $59.99. You can also do other combos of the setup which consist of Gift Box Only, Gift Box + Flask Only, and Gift Box + Knife Only. Shipping was super faster, I confirmed my address on June 6th and received the package on June 11th. All the contents were packaged well with bubble wrap. I received the Gift Box with the flask and knife. The box comes very well presented with the flask and knife laying neatly on a bed of crinkled paper. The knife is my favorite item I received of the set, it included a personalized engraving with my name. 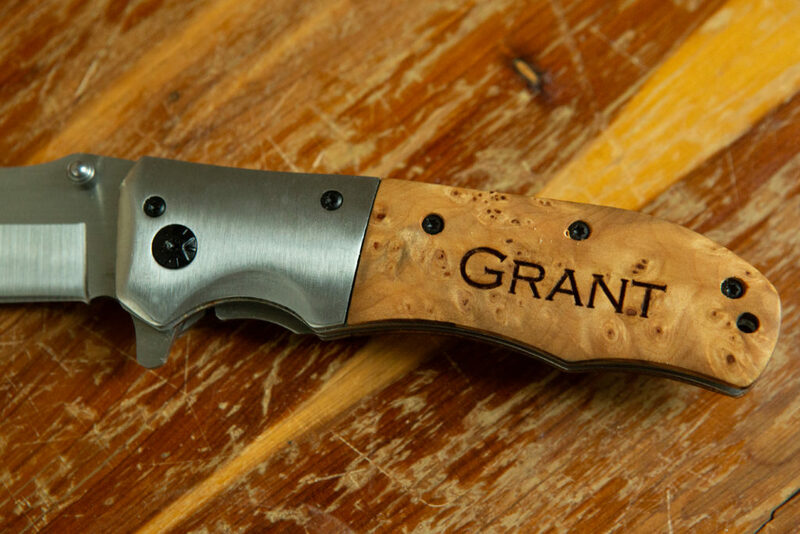 The engraving goes deep into the handle and really shows the quality and attention to detail. 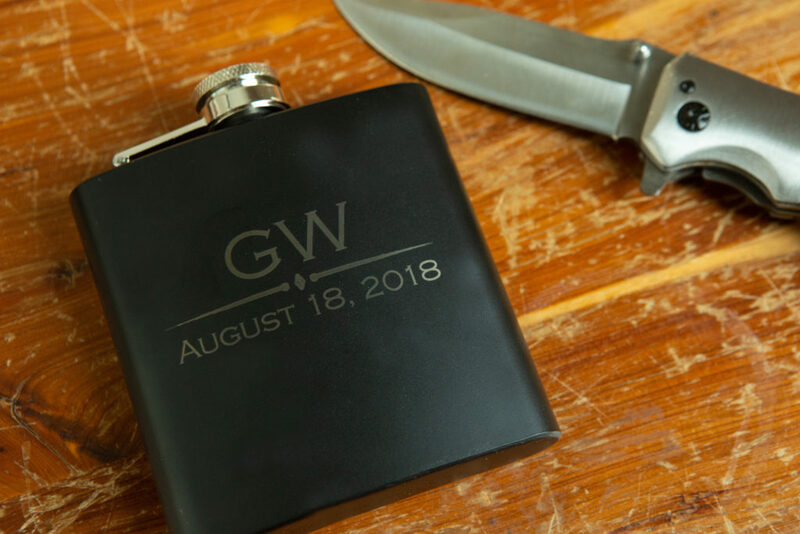 The flask has a smooth black exterior with a quality cap and flawless engraving. 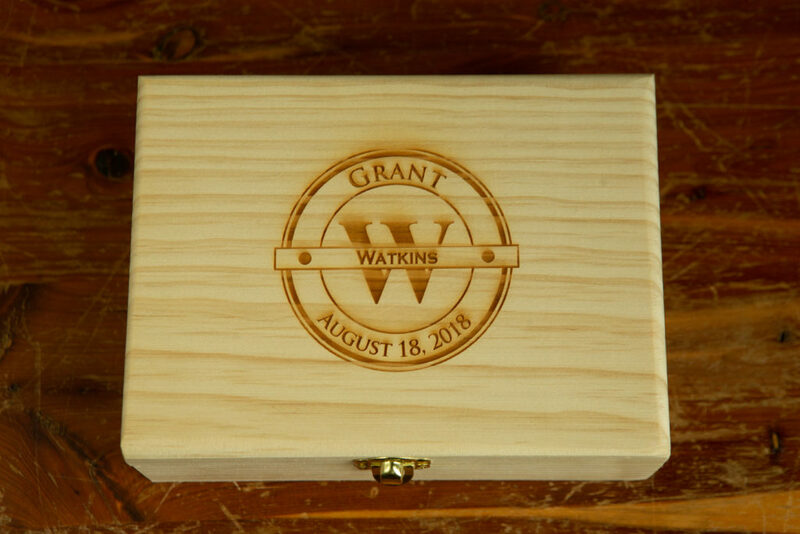 The box, which holds both items perfectly, is engraved with a custom monogram. I have thoroughly enjoyed receiving this box and would highly recommend purchasing one for yourself or as a gift to any groovy guy! 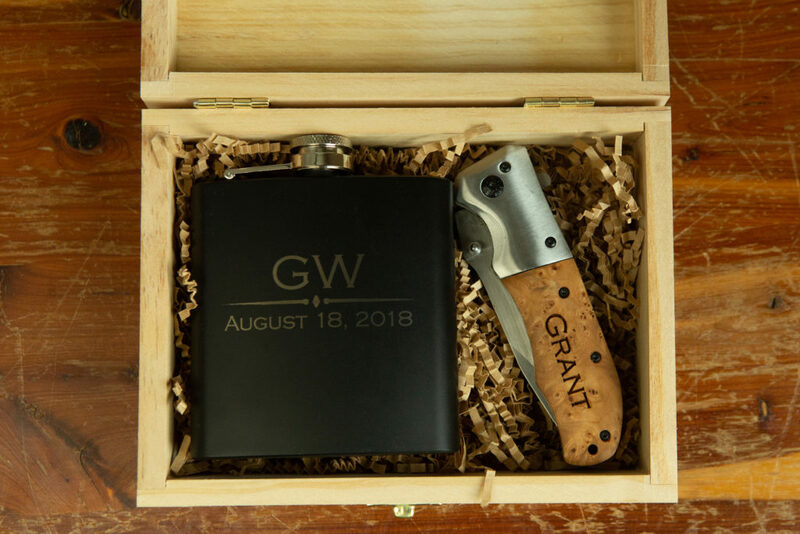 After working in the wedding industry for many years we realized there simply weren’t enough readily available good gift ideas out there for guys. 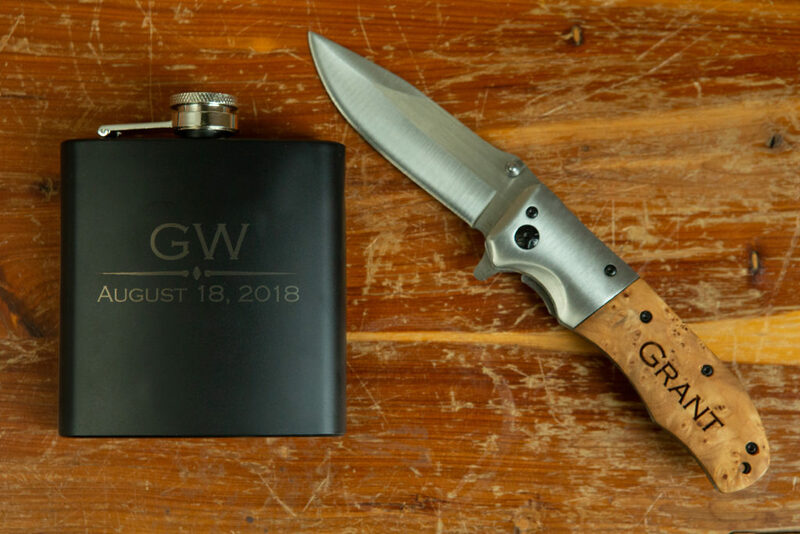 So we decided to create a site offering several unique personalized gifts for men. A site that is different from the others and offered a wide variety of guy gifts. Personalization is also our specialty, as we truly believe by engraving a name on the gift, it becomes more meaningful.